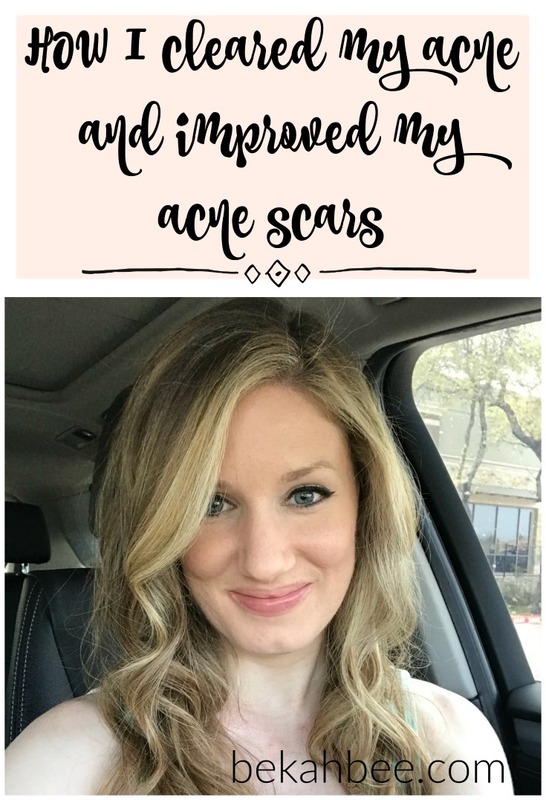 How I cleared my acne and improved my acne scars! Ever since I was 14, I have struggled with acne. 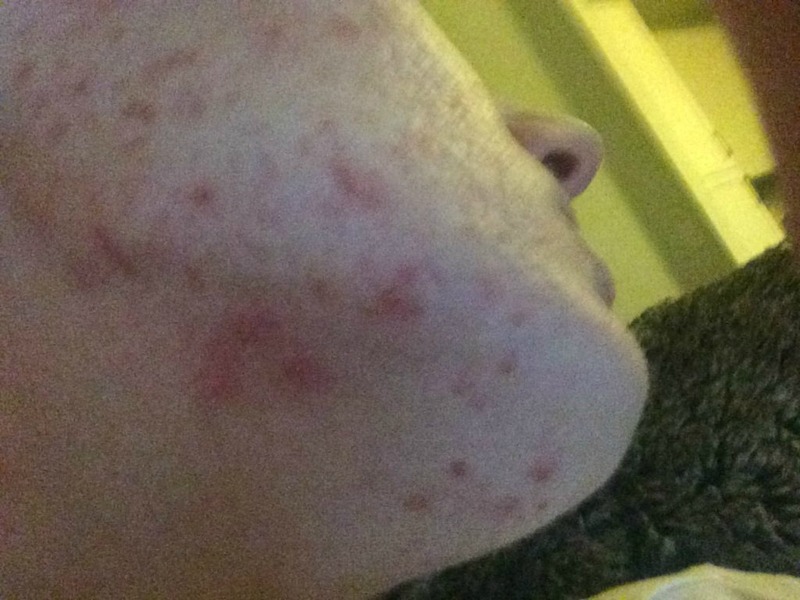 I thought it was really bad back then, as a self-conscious teenager and young adult but when I turned about 24 it turned into a different kind of acne, adult acne. This was the kind that was cystic, deeply painful and the worse part was it left behind absolutely horrible scars. It was very debilitating and I really struggled with it. It has been quite the journey to figure all this out, and I am so happy that I finally see some light at the end of the tunnel! 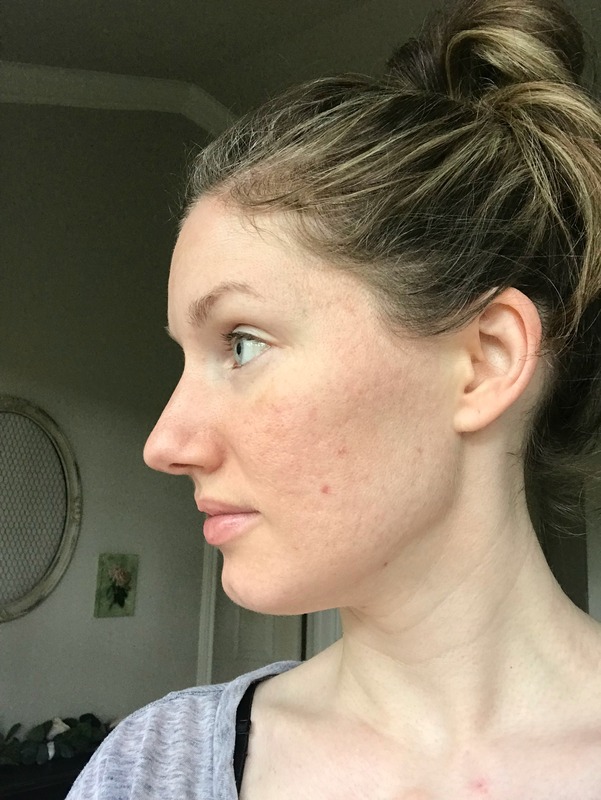 Something I always swore I would do if I could ever find the elusive secret to clearing my highly problematic and acne-prone skin, is pass that info on to the rest of the world in case it could help even one person out there who is as desperate as I was for years and years to clear my skin up! Also, my biggest frustration when I was desperate for help with my acne and researching ways to help it online was that so many links I clicked on promising the cure were either scammy or an e-book that costs money. I feel like this info should be easily accessible for anyone who is desperate for help, and not some top secret you can only find out when you spend money on some book that may or may not help you. I can finally say that I rarely experience breakouts anymore, and when I do it is a random pimple here or there, not all over my face at all times. The truth is that it took years and years of addressing underlying health issues and learning more about non-toxic products so it’s not like it was any kind of miracle fix. It took layers and layers of fixing different areas of my life to get to where I am now. I truly had to find a way to heal myself from the inside out. So, if you are interested, here is an overview of the journey it took to clear my skin up! I am going to highlight each area basically in order of how everything unfolded. Get ready cuz this is going to be a long post since there is so much to say! Stopped going to bed with my makeup on! I honestly can’t believe I used to do this almost every night of my life for years and years. Yes, I had heard everyone and their mother says that it is a huge no-no! Did it stop me? No way. Part of it was being lazy, staying up too late and not wanting to do one more thing before bed. Part of it was that I honestly hated the way I looked without makeup, and even washing it off before bed made me feel super hideous, so I just washed my face in the shower each morning right before I put it back on again for the day. I seriously felt SO ugly without makeup when my skin was at its worst. I know there are other people out there who can relate! Started following more skincare rules. The most obvious one was washing my makeup off before bed, ALWAYS. Besides that, other little things like rinsing my face with cool water after washing it to close the pores. Exfoliating once a week. Being sure to use a moisturizer after washing. (Trying not to pick at my active zits. I know other acne sufferers can understand how hard that is!) Cleaning my phone off every day. I actually never put my phone up to my face anymore, I usually put in my earbuds or talk on speaker. Washing my pillowcases more often. Not resting my face on my hands, this was such a hard habit to break! Began using mineral makeup instead of the heavy, chemical laden stuff that was clogging my pores! I used to use Estee Lauder Double Wear foundation and I considered it my holy grail. 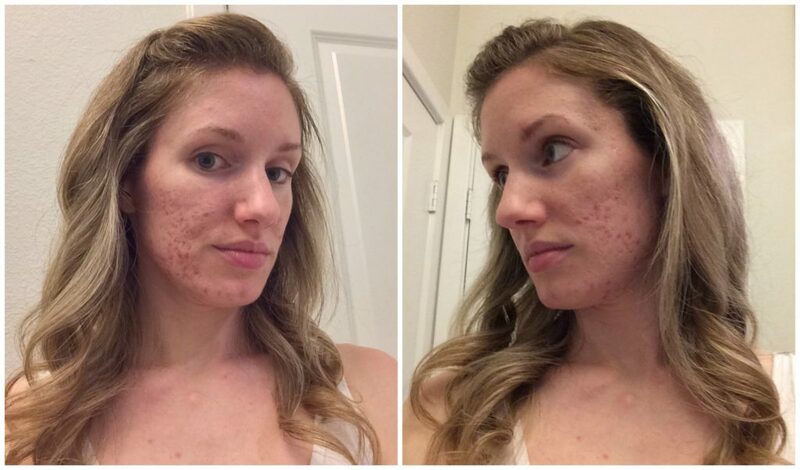 It was finally something that covered my acne and scarring and made my skin look more flawless. It made it easier for me to go out into the world without everyone knowing I suffered from terrible acne. The problem is all the stuff I caked on my skin wasn’t helping to address the issues underneath, was full of chemicals and it was harder for my skin to breathe. I know this foundation claims it is non-comedogenic, however, in my experience my skin started to improve more easily after I stopped using it. My Aunt who is an esthetician and was being so sweet to give me facials and work with me on my acne convinced me it was necessary to switch to mineral makeup! She was so right, but it was SO hard to get used to at first. I had to get used to seeing my face less perfect with makeup on than I wanted it to be. I had to sacrifice coverage for purity. Luckily natural makeup has come a long way since then since this was years ago, and you can really get some great foundations that are both clean and perform very well today! Instituted “make-up free” days. This was SO hard for me to do at first, because like I said, I hated how I looked without makeup when my skin was bad. But I knew it would be good to have a day here and there where my skin could just truly breathe and have a break. And my skin definitely appreciates it, I can tell! Switched over my personal and makeup products to natural and non-toxic ones. 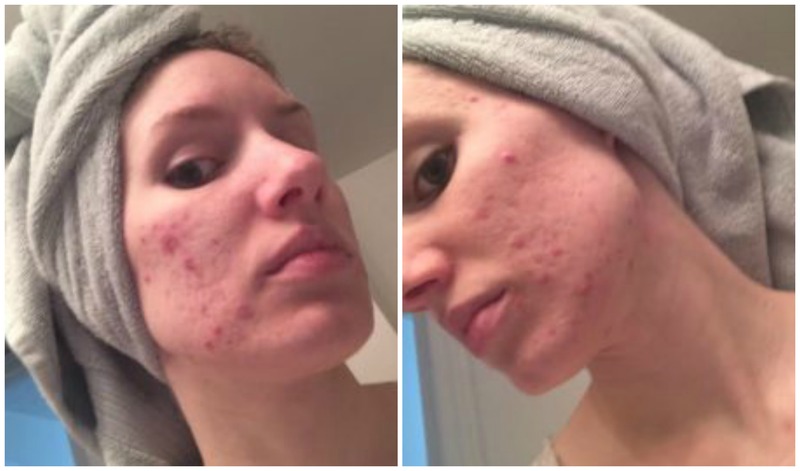 It took several years to fully find things that worked for me, but it has done a world of good to stop the endless cycle we are normally taught to pursue for acne problems. Using a stripping cleanser, moisturize and treat with harsh treatments etc. It was all such a vicious cycle and didn’t help! I also stopped using conventional hairspray because I figured out it was breaking me out. I learned how our skin absorbs most of what we put on it, and didn’t want to stuff my body full of chemicals anymore. Incorporated oils into my facial care! This has been one of the best things I have done for my face! Like all acne sufferers, I was terrified to try this at first. I thought oil was my arch enemy! 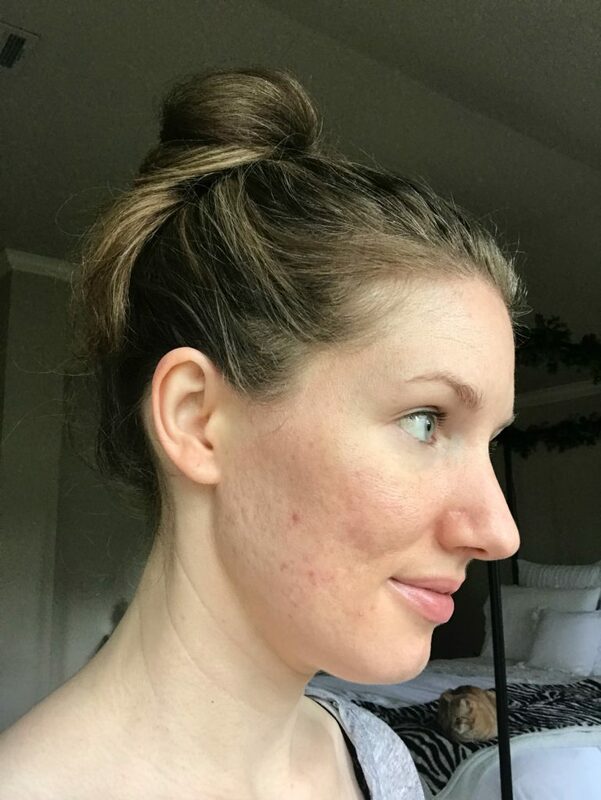 But the biggest secret to getting my face more normalized has been to use oil on it, which not only helps to combat the over-production of oil that happens when I was constantly stripping it, it also had the added benefit of being so helpful to softening a lot of my acne scars! Face oils are my best friend. Worked with a Naturopath to balance my hormones. I found out that I have a genetic condition called MTHFR where I can’t process certain nutrients without them being methylated first and I found out that all my hormones were out of whack. Which was not surprising to me at all since I also couldn’t conceive and we were trying to get pregnant at the time. Figured out some of my food sensitivities and got much more in tune with my body. The funny thing was as I was getting super into natural health and a more holistic way of life, everyone was recommending going dairy free and using all these nut and coconut milks as a replacement for dairy and nut and coconut flours to replace flour with gluten. Well, as I started trying to use these replacements my acne got so much worse. I started to realize that I am clearly sensitive to both nuts and coconut! When I stopped eating/using both those things, my face cleared up so much. It turns out I actually tolerate full-fat dairy (organic and without hormones, when possible) like half and half, so much better than I did with those milk replacements and it doesn’t break me out. Learned a lot about healthy eating and was much more careful about what I put into my body. I really believe in the JERF mentality, which stands for Just Eat Real Food. Super simple, but such a balanced way to approach eating. I try not to eat anything with fake, super processed, chemically altered ingredients in it. You guys, the hubs and I used to eat so many things that were SO BAD for us. I am so glad we try not to do that anymore. They honestly made our bodies feel awful too. Learning how to listen to what my body said after I ate certain things, was really powerful in learning what worked for me and didn’t. I also learned to read product labels on everything: food, cleaners and personal products. After everything I said about being better about what I ate and getting in tune with my body, the last year or so I have actually relaxed more about food because being strict on myself was leading to a lot of food anxiety and stress. Now I appreciate having the knowledge of what is a good choice for my body, but also having what I want in moderation. A new kind of balance. Doing my best, avoiding my trigger foods and not stressing too much about the rest. Did a ton and ton of research into what my issues could be because acne wasn’t the only thing that was plaguing me. I also suffered from some pretty severe anxiety and other hormonal issues. Because I discovered how toxic heavy metals can be to our bodies, and had a lot of “silver” fillings from my childhood (I think I had at least 14 of them or something crazy) I decided to get them safely removed and replaced with non-toxic ones. The fillings people always called silver or amalgam are actually a compound that includes mercury which is a neuro-toxin and leads to all sorts of health problems. My husband and I saved for over a year for this since this type of procedure is very expensive! It is incredibly important to have a Biological or Wholistic dentist who is trained in doing this safely do the procedure since the mercury is very toxic when it is inhaled, so they need to be specially trained with lots of safety measures in place! I am SO thankful that I found an amazing dentist here in the Austin area who specializes in this. 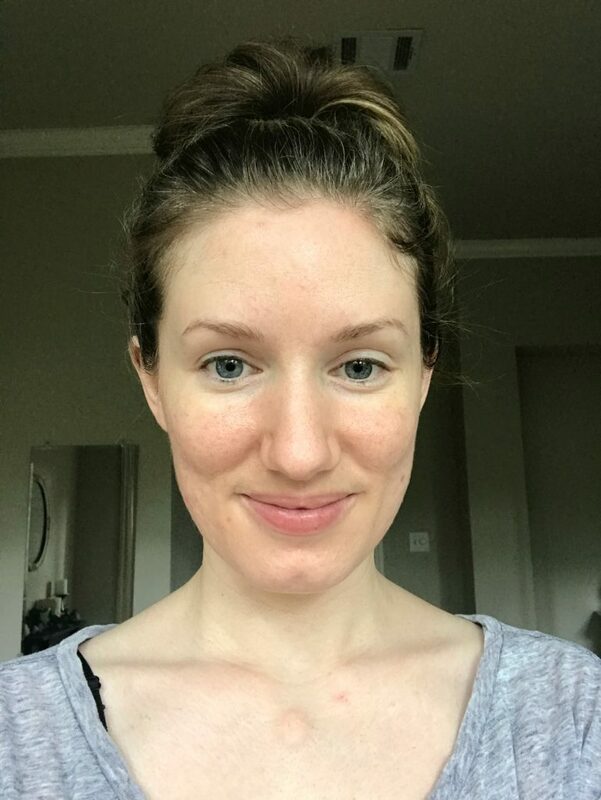 Getting my total dental revision done was one of the top things I believe that cleared my skin since the difference in my face was noticeable almost immediately afterward! And my anxiety has drastically improved to the point where it is no longer debilitating! 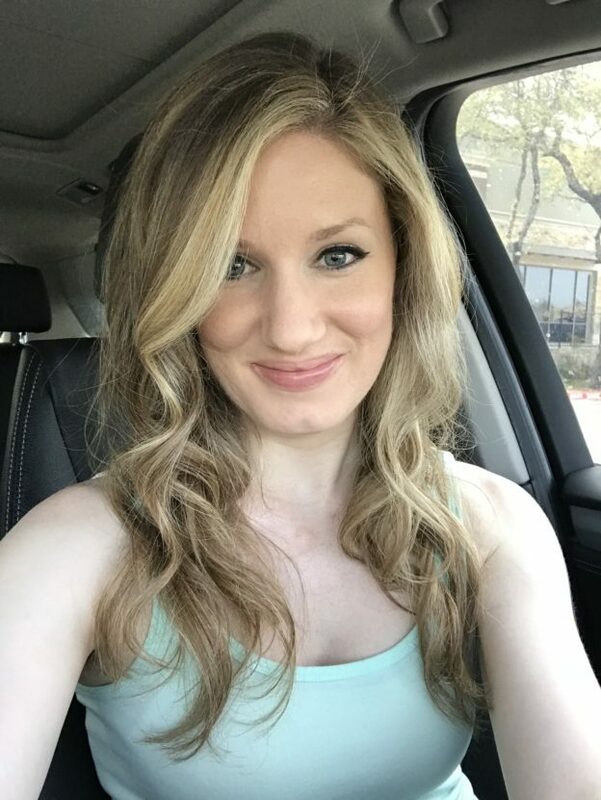 Getting my health under control was totally necessary for me to ever achieve clear skin since my problems were truly coming from the inside out and ance was just a sign of the distress my body was in underneath it all! My body was telling me it was suffering. Started investing in high quality non-toxic green beauty skin care. This is the most recent area I have expanded, and it has had one of the biggest impacts on my skin finally improving to where it is now. One of my goals last year was to amp up my skincare routine and really start finding some awesome products to take my skin to the next level. Before that, I had finally found somewhat of a routine that worked for my skin and kept it pretty clear, but it kind of plateaued and I wanted to actually keep improving it, not just settle for pretty clear. This is what I spend my “fun money” on these days, and really does make me really happy because I love having clear skin! To show you what my reality was, here are some awful before pictures. Obviously super unflattering, but necessary to show the process! I am actually really glad I have these pictures now because it shows how far I have come. A particularly bad breakout in 2014. These were taken in 2016 and it shows how bad the scarring was, they were still bright red. Scars do fade over time but I kept getting new ones since I still broke out a lot! This shot is super blurry and obviously awful but shows how bad my chin area would get. That is classic hormonal acne. Here are some completely bare-faced pictures of me today. No filtering or editing, although the light is much better in these pictures. You may look at them and still think my skin is really bad, but the difference for me is huge! And those few little dots are recovering pimples from a stress-related breakout I had recently due to traveling and being sleep deprived, but that honestly hadn’t happened for a long time before that! Next on my list to improve my skin is trying derma rolling. I am so intrigued by this and have heard great things! Depending on the success of that, I may also pursue some more advanced scar treatments with a dermatologist. Many years ago I tried a series of chemical peels at my dermatologist’s office, and while they helped, they ended up upsetting the balance of my skin too much so I started breaking out again so I feel like they weren’t worth it at the time. After that, I decided to hold off on any treatments until I could stop the active acne first! Along the way, there were many prescriptions I tried. They never fully cleared it, and even though some of them did a pretty great job, I experienced some bad side effects like terrible headaches and heart palpitations which freaked me out. I also always considered pulling out the big guns: Accutane. Believe me, I was desperate enough to want to try it! But something in me wanted to heal it naturally, from the inside out and actually find the root cause, not just cover it up with temporary fixes which come with a long list of side effects. The support of my husband was an amazing blessing all along the way. At one point I went to the dermatologist and came back with the HUGE yellow book that you have to read and sign before starting Accutane, which explained how very serious it was to take it and the list of all the risks. Of course, I don’t have anything close to “perfect” skin right now, and probably never will because that is just my reality with the scarring I have. However, I am absolutely thrilled to death with the progress my face has made from where it was before and I continue to see more and more improvement with each small success! It actually makes me like seeing my bare skin in the mirror now, because I know what it looked like before! I related to this video on such a deep level and it totally made me cry. Like so many other people, I too have felt so unhappy and hideous while struggling with extreme acne. I was also truly overcome with awe and gratefulness that this girl and others like her show their bare face online and offer tips for how to cover acne up, even when so many people out there say the cruelest things. That takes immense strength!! It’s such a beautiful gift to the world when you still show up to be a glimmer of hope for other people struggling too, even though doing so leaves you so vulnerable to so many mean people. This entry was posted in Beauty, Thoughts on 08/22/2018 by bekah. Oh yay! I came over to see if you’d written anything lately, and glad to see you have! You look beautiful! 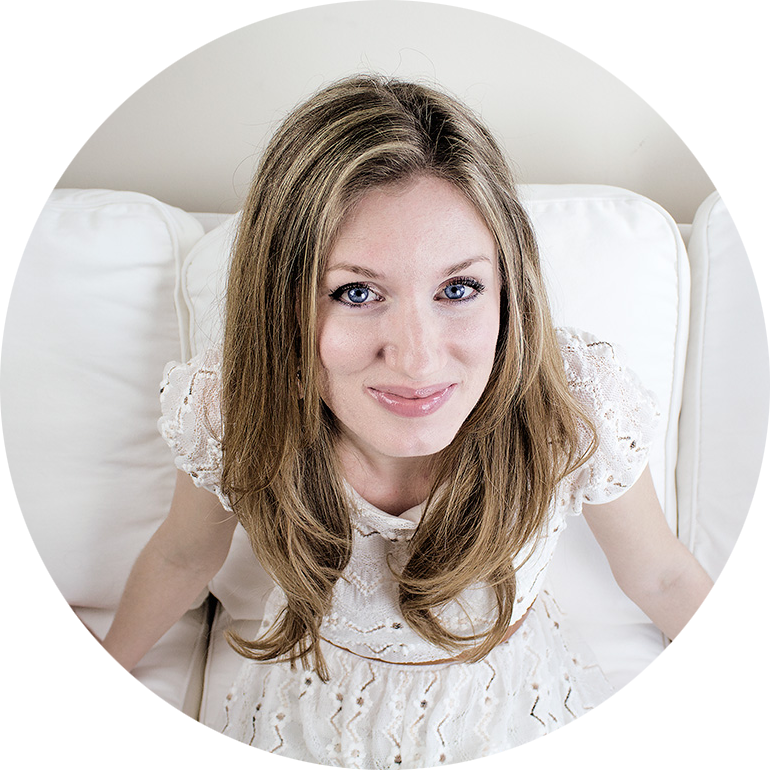 I love that you are so brave and encouraging to share your story and what worked for you! For my skin, I’d like to do more exfoliation and some nice face masks now and then. It just doesn’t occur to me often, but I know my skin would appreciate the treatment. By the way, I know there are some essential oils that can help with scarring…have you done anything with those? Okay, I definitely need to do more with masks! That will be a fun thing to explore next year. The Honey Mud one sounds so good…especially when they say it feels like pudding!! It totally is very luscious feeling! And smells super yummy! I like that one a lot, great to calm skin with honey and other awesome ingredients and makes it feel very soft and moisturized afterward. I switch on and off with Mahalo The Bean, that one is amazing at clearing my skin and overall making it more radiant.